Practical solutions to living life efficiently and diligently. Forgiveness can be difficult. In our day-to-day people will do or say things that offend us, rather than hold a grudge – the Bible teaches us to forgive them. Having an unforgiving heart leads to bitterness, and a heart that is bitter can not love as it ought to love. This is something I’m putting into practice myself. I often demanded an apology in order to forgive someone. But when it’s done this way we – more often than not, are reacting based on the desires of our flesh. We feel an apology is owed to us. 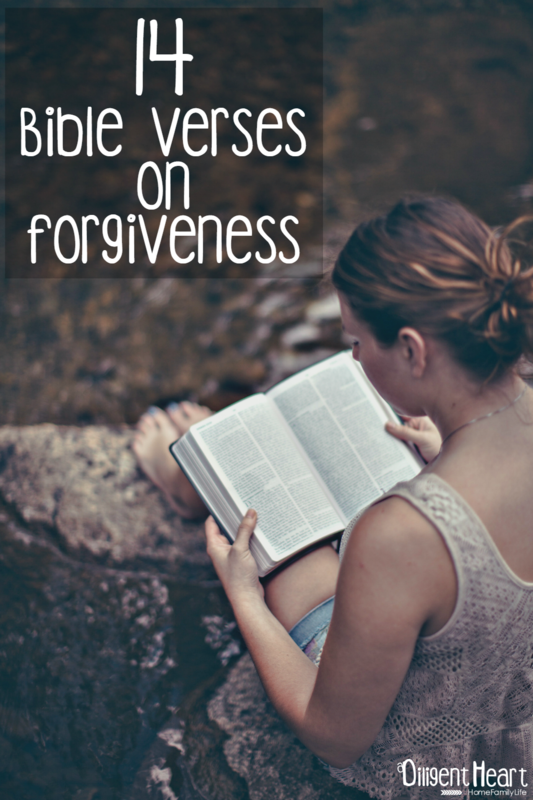 In scripture we can find encouraging, and inspiring verses that encourage us to be forgiving. These are some of the verses I like to turn to for encouragement when I’m struggling with the difficulty of forgiveness. Ephesians 4: 32 Be kind to one another, tenderhearted, forgiving one another, as God in Christ forgave you. Matthew 18: 21-22 Then Peter came up and said to him, “Lord, how often will my brother sin against me, and I forgive him? As many as seven times?” Jesus said to him, “I do not say to you seven times, but seventy-seven times. Colossians 3:13 bearing with one another and, if one has a complaint against another, forgiving each other; as the Lord has forgiven you, so you also must forgive. 1 Corinthians 13: 4-6 Love is patient and kind; love does not envy or boast; it is not arrogant or rude. It does not insist on its own way; it is not irritable or resentful; it does not rejoice at wrongdoing, but rejoices with the truth. Matthew 5:23-24 So if you are offering your gift at the altar and there remember that your brother has something against you, leave your gift there before the altar and go. First be reconciled to your brother, and then come and offer your gift. Luke 23: 33-34 And when they came to the place that is called The Skull, there they crucified him, and the criminals, one on his right and one on his left. And Jesus said, “Father, forgive them, for they know not what they do.”And they cast lots to divide his garments. Hebrews 12:14 Strive for peace with everyone, and for the holiness without which no one will see the Lord. James 1: 19-20 Know this, my beloved brothers: let every person be quick to hear, slow to speak, slow to anger; for the anger of man does not produce the righteousness of God. 1 Peter 5:8 Be sober-minded; be watchful. Your adversary the devil prowls around like a roaring lion, seeking someone to devour. John 15:13 Greater love has no one than this, that someone lay down his life for his friends. Do you have any verses you turn to when you are struggling with forgiveness? For more Bible Verses by topic go HERE. I need to ask for forgiveness from a friend and these verses are very helpful. Thank you so much I really needed to see these verses. Thank you so much for these scriptures on forgiveness!! Thank you for sharing God’s Word….and making it much easier and quicker to find them!! May God Richly Bless your ministry!! Thanks a lot for this comfort. I recently committed a pretty bad sin, and I could use some prayers of forgiveness and strength. Please pray for me. Forgiveness is a painful topic to talk about; mainly because it involve forgiving those who have inflicted us with gaping wounds. When people hurt we; we want revenge, we want to hit back. But God through His words have encouraged us to always forgive; not only others, but forgiveness for ourselves. It’s when we choose to forgive that we find healing for our wounds and souls.